We are proud to present you the quintessence of the first GFLO. The 2018 KPMG Global Female Leaders Outlook, reveals how global female leaders from 42 countries and territories assess future economic developments, the challenges of digitalisation and their personal career development. The questionnaire is based on the KPMG International “Global CEO Outlook” to directly compare male and female perspectives on economic, business, technological and leadership issues. 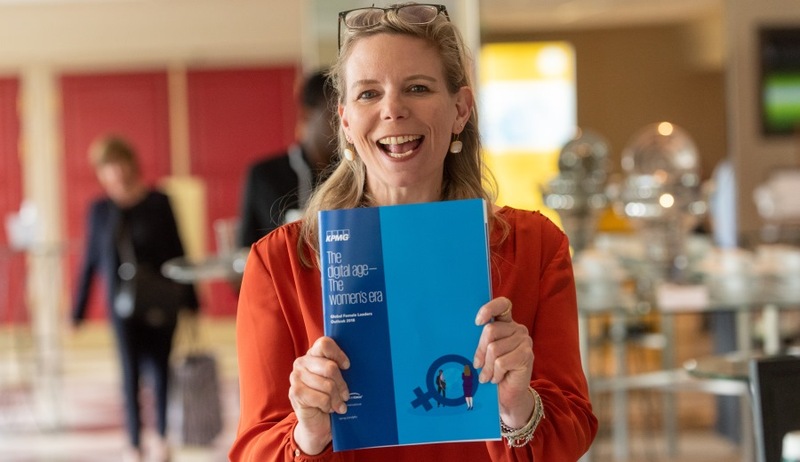 In cooperation, the Global Female Leaders with KPMG International and KPMG in Germany have decided to conduct this study in order to prioritise – for the first time on a global basis – the views of female leaders. There is a strong economic imperative for including women in every part of business and the Global Female Leaders Outlook (GFLO) shows that women are well prepared for the challenge. … confident about growth expectations and have a clear view of what can be achieved. … focused on innovation and organic growth. … digitally oriented and comfortable with new technologies. … making confident, data-based decisoins. … customer-centric, with a strong belief in networking and cooperation. Visit the interactive online dashboard to review the survey results and filter the data based on your interests.